Chandeliers make modern homes glamourous. Multi-themed, multi-faceted as well as glittering, chandeliers can inject a real ambiance to any modern home. So, if you are looking to breathe more life into your home, here are top five modern chandeliers you should seriously consider. 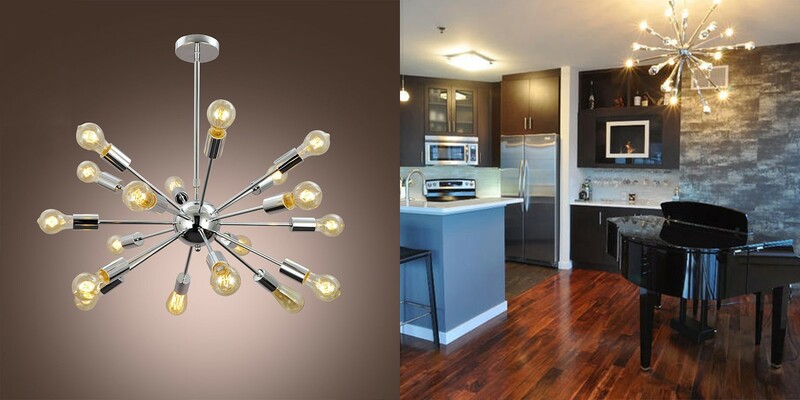 So, go creative and light up your house with these modern, contemporary, non-conventional chandeliers. Bohemian Chandeliers The bohemian interior based décor style is quickly taking the lighting sphere by storm. Once considered a thing of the rich, Bohemian chandeliers have rapidly infiltrated the home decor mainstream over the past few years. With Bohemian décor elements, you have a lighting solution that can give you the aesthetic and class you need in your modern home. Normally, they are paired with more luxurious aesthetics and are ideal for those looking to soften those industrial room designs without so much “clashing”. 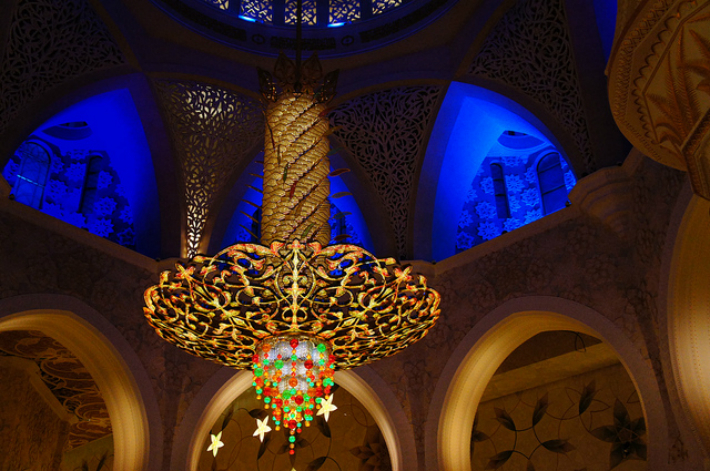 These chandeliers are typically made from materials such as wood, beads, as well as shells. Bohemian chandeliers can be in woven styles of jute, cotton, or macramé. 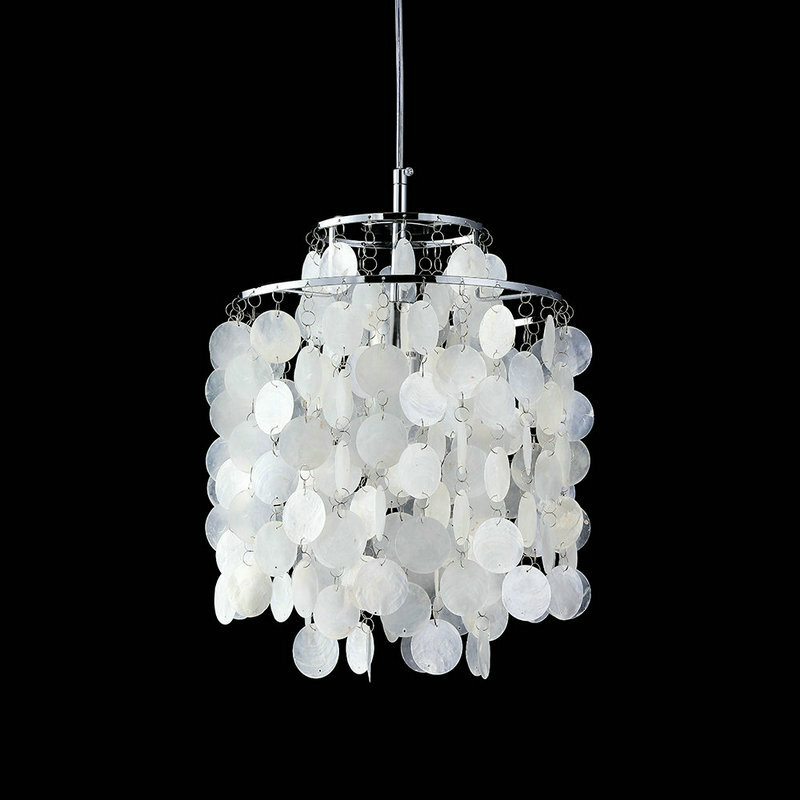 Shell Pendant Chandelier The shell pendant chandelier is popular in girls’ rooms. In particular, it’s a common centerpiece in mermaid themed rooms. However, you can still go creative and think beyond the mermaid room. You can also hang these shimmering shell-based pieces in your foyer or even the living room. 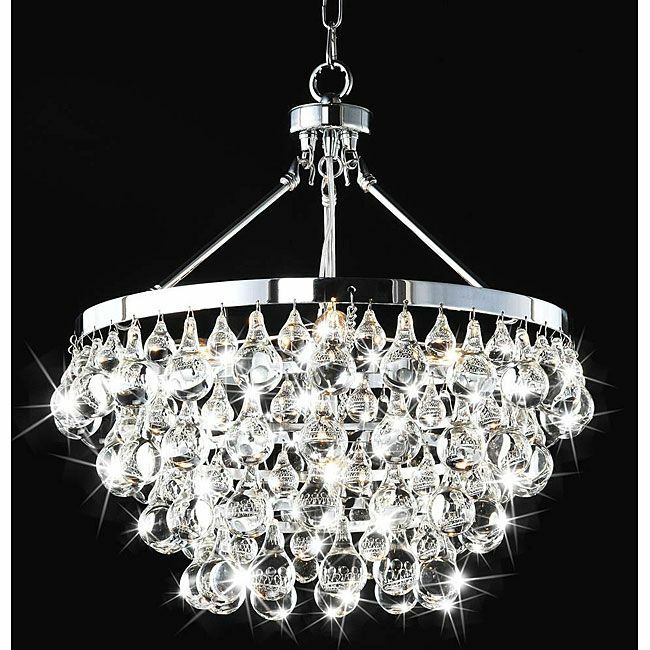 Sparkling Crystal Chandeliers featuring Chrome Finish You love bling? Then this is your thing. 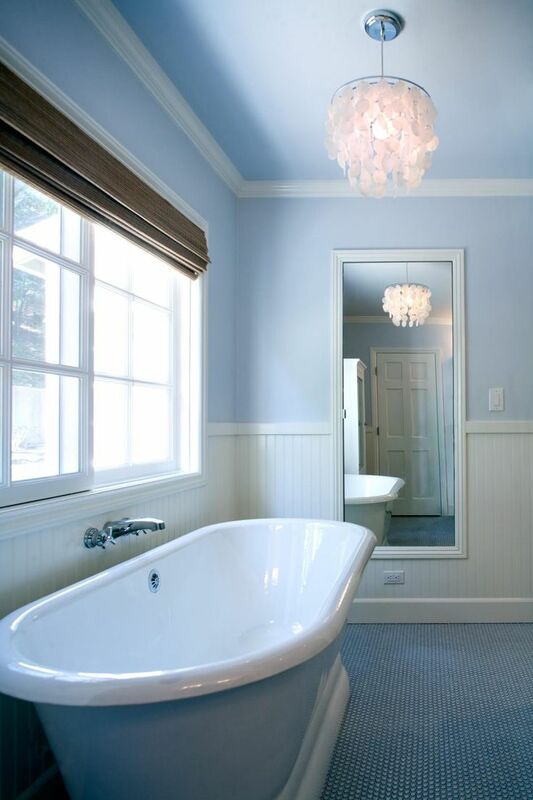 Whether it’s in your bathroom or bedroom, a crystal chandelier is sure to create an impressive mood. Featuring a flush mount design, this fixture is extremely simple to install and maintain. Its sweeping arms produce a display that’s both elegant and functional. 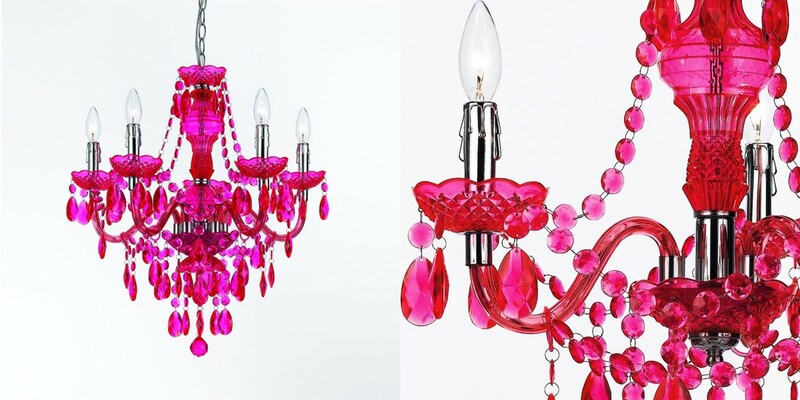 Fuchsia Mini Chandelier You can never go wrong with fuchsia mini chandelier—especially if you are looking to give your little girl’s room a quick uplift. 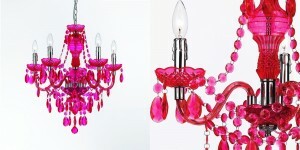 It can create a whimsical touch and make her room PINK! Plus, this chandelier can look more luxurious if you consider hanging it over a foot bathtub in that spa themed bedroom of yours. Alternatively, you can consider hanging it at your home office—it will give you the boost and reenergize you throughout the day. Modern Metal Spike based Chandelier Metal spike chandeliers are stunning fixtures. They’re a perfect option for the bold, or anyone who’s striving for an opportunity to be bold. Chrome spikes radiate from the fixture’s center orb, producing a spectacular effect. The eighteen light bulbs positioned at the end of every spike add more stylishness to this chandelier. If you’re looking for a bold piece to illuminate your modern space, make this fixture your priority. Crystal Ball Raindrop Based Chandelier In the ball raindrop chandelier, the base lights illuminate the hanging crystals below, creating a beautiful silhouette, resembling a glowing crystal ball. Before carrying out any installations, ensure that you mount the base for a streamlined process. 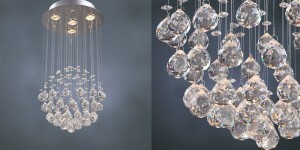 You’ll be surprised at the number of crystals present in this chandelier; the lighting produced is simply amazing. It will bring an entirely new dimension to your space, from the hallway to the bedroom. 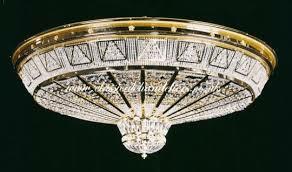 Other Other chandeliers for contemporary houses include modern crystal chandelier and linear crystal chandelier. Good lighting is extremely important in your stairwell area as it creates an inviting mood for you as well as your guests. Chandeliers can create an exceptional highlight in your home’s entrance. 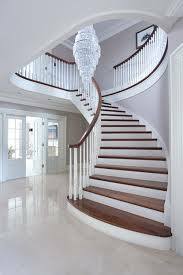 Whether you’re planning to light an outdoor stairwell or an indoor staircase, the type of chandelier you choose is dependent on two aspects: The areas you intend to illuminate and the kind of look you want your stairwell to have. Choosing the perfect lighting technique won’t only create a new ambiance in the living room, but will also help you climb the stairs safely at night. 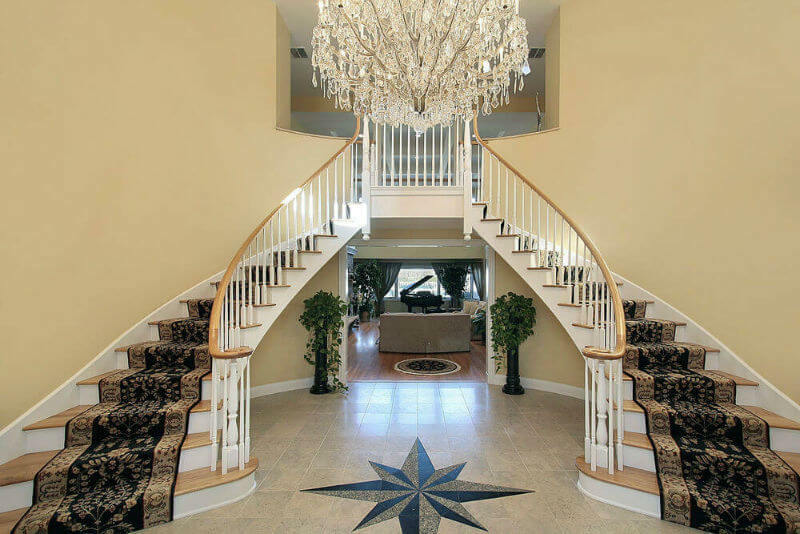 When selecting your stairwell chandeliers, consider the following tips. Determine how much light is needed. 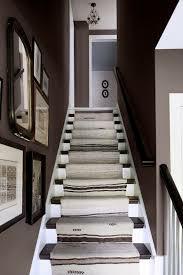 Measure the stairwell or stairway and calculate the square footage that requires illumination. To estimate the amount of wattage needed, triple this measurement (x3). You might opt to utilize a higher wattage light to achieve more brightness or lower wattage lighting for a dim ambiance. Inspect your stairwell. For effective lighting, it’s essential to know which areas of your stairway are darkest so that you can provide sufficient illumination. Monitor the shadows and light areas in the stairwell during morning hours, in the afternoon, as well as at night. Take note of the areas that require more light, such as the part furthest from a well-illuminated room or a curve in your stairway. When lighting an outdoor area, for instance, you might want to install LED lights on each side of the staircases or recessed lights in front of the stairs. When lighting the stairs on your hallway, you might want to utilize lantern lights. A hanging chandelier will make your staircase more glamorous but wall sconces will provide a gorgeous, yet practical illumination for your hallway staircase. Lighting can be both functional and stylish. Choose lights that perfectly complement your home’s décor as well as the surroundings. If you own a modern house, you might want to use recessed lighting that’s often built into the ceiling. 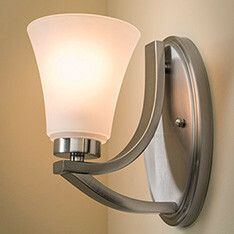 If your home features a luxurious feel, consider installing artisan wall sconces. Whereas you might want to buy identical fixtures to light your stairwell, all lights in the stairway don’t have to be the same. A high-wattage overhead chandelier for use in the darkest areas at night would blend perfectly with lower-wattage sconces to keep your stairwell warm during the day. Remember, these lights must possess similar styles so you may opt for vintage bulbs or one-of-a-kind lighting fixtures. 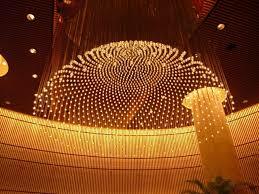 You might prefer a huge waterfall or cascading chandelier to create a fantastic impression. 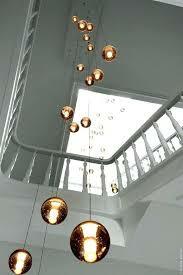 But tall column chandeliers can also provide brilliant illumination for your staircase. Even more, you can design your own bespoke stairwell chandelier and introduce that ‘wow’ factor into your home. In addition to modern glass and crystal stairway chandeliers, you may choose an attractive cluster chandelier or pendant light. 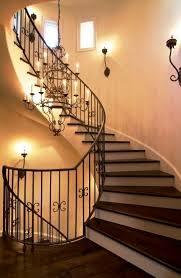 With proper lighting, your stairwell or staircase will definitely look impressive! Today, it is extremely easy to find the perfect chandelier for your home. There are numerous designs to choose from and are available at reasonable prices. You can readily get a chandelier style that fits your taste, but the truth is that it has taken so many decades to get to this point. Previously, only the rich could afford to purchase these attractive lighting fixtures. 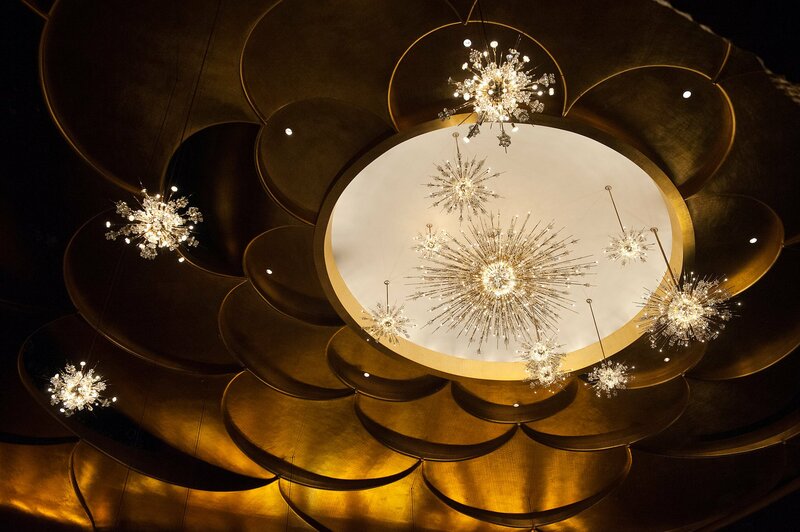 Let’s dive into the chandeliers’ history. In the olden days, chandeliers were circular in shape and incorporated more complex designs than moveable candles. 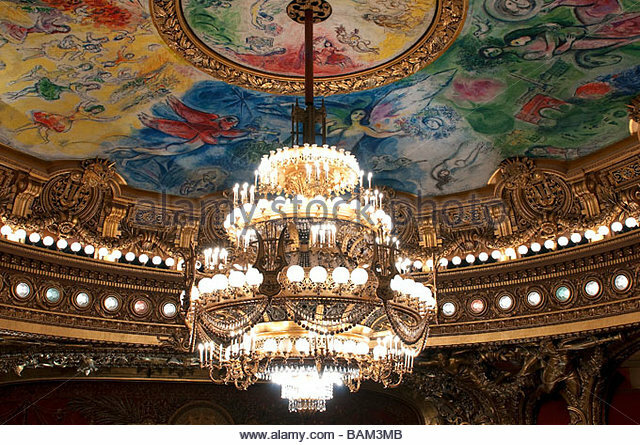 By then, chandeliers were primarily utilized as a status symbol in palaces as well as nobility homes. It took many years for the price of these lighting systems to be moderated so that people of the “average class” could access them. 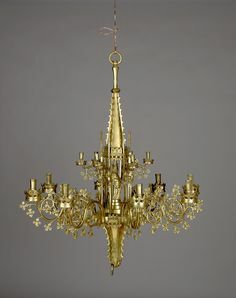 During the 18th century, chandeliers featured long, curvy arms with numerous candles placed around it. They were commonly found in the homes of high-ranked families. The fixtures were fabricated with gilded metal and intricately carved wood. 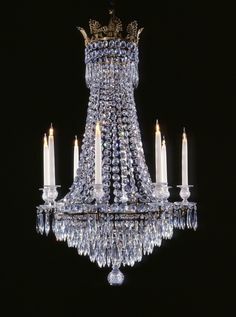 As technology advanced, state-of-the-art glassmaking techniques were invented and eventually led to the emergence of crystal chandeliers. Most of the ancient chandeliers were created by Bohemian as well as Venetian glassmakers. Though the lighting fixtures were outstandingly beautiful, they were only intended to brighten homes. Remember, many of these chandelier styles came from Italy’s Murano Islands. Italian chandeliers commonly featured complex arabesques of fruits, flowers plus leaves imprinted on colored glass. It took quite a long time to create these magnificent pieces and were quite expensive. Gaslighting became increasingly popular in the 1800s, resulting in the creation of the gas chandelier. By the end of this century, electric light had come into existence and candle chandeliers started disappearing. Designers created numerous unique bulb shapes that featured gas discharges. Some of the most popular chandeliers included the ones fabricated with Venetian Murano glass. Advancements in glass manufacturing made it possible to produce lead crystal easily and cheaply. 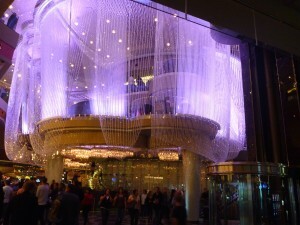 And resulted in the increased popularity of crystal chandeliers. As compared to Venetian glass, the lead crystal was more elegant, transparent, and easy-to-shape. 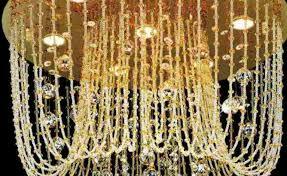 Attractive all-crystal chandeliers featuring magnificent designs started entering the market announcing the chandelier’s golden age. This is the time when Daniel Swarovski, a famous innovator, ventured into the production of cut stones for creating ornate crystal chandeliers. Once considered as a symbol of status for the rich and royal families, chandeliers became more common during the 20th century and nearly every household could afford it. However, these lighting fixtures are still being utilized as supplemental lighting, though some use them as decorative elements. Modern designers have come up with unique chandelier styles that fit every home and every décor theme. 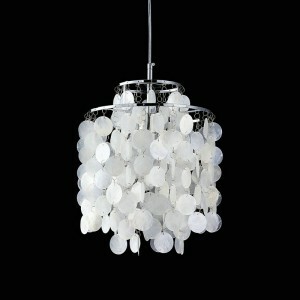 Today, chandeliers are more affordable and can be found in various places. This lighting technique has stood the test of time. And it’s currently the perfect addition to every modern home. 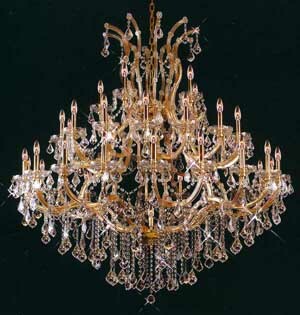 If you are looking for the perfect chandeliers, Classical Chandeliers has outstanding models. 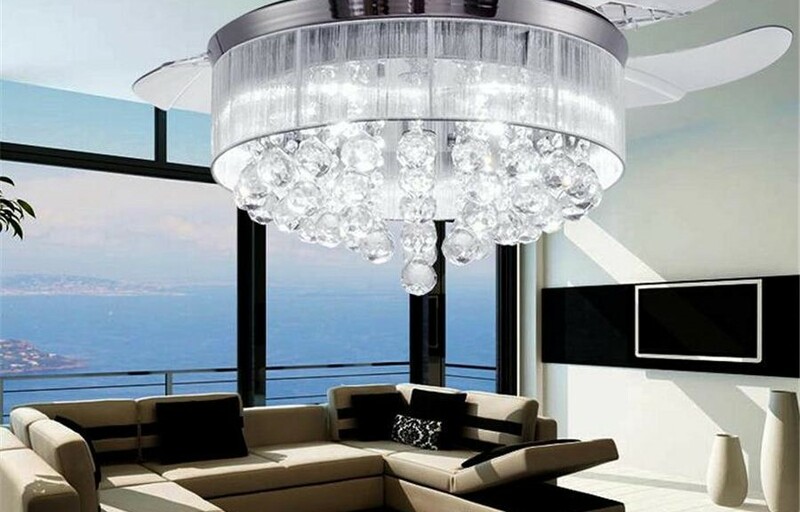 Get yours today and take your chandelier experience to the next level. A chandelier doesn’t only bring general lighting to a room, but it also adds ambiance and style. However, choosing the right chandelier can be quite tricky. Installing a small chandelier may not deliver a powerful design element, whilst a huge chandelier can as well overwhelm a small living space. A good chandelier should be proportional to your room’s height and width. Nonetheless, it’s important to note that other factors, such as light layering from adjacent light sources as well as personal taste, will also have a significant impact on your choice. This article will help you to easily determine the appropriate chandelier sizing and placement for your kitchen, breakfast nook or dining room based on your furniture or living space. When installing chandeliers over your dining room table, there are two important aspects that you should take into consideration: ceiling height plus table size. 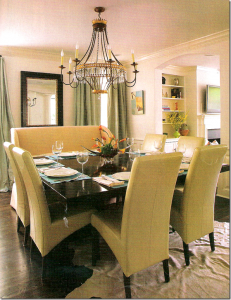 Ensure that the lighting fixture is proportional to the size of your table, and shouldn’t overwhelm it. 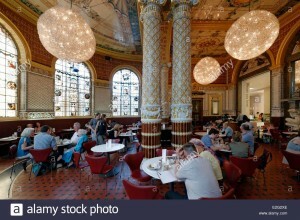 A very large chandelier might obstruct the table’s view. 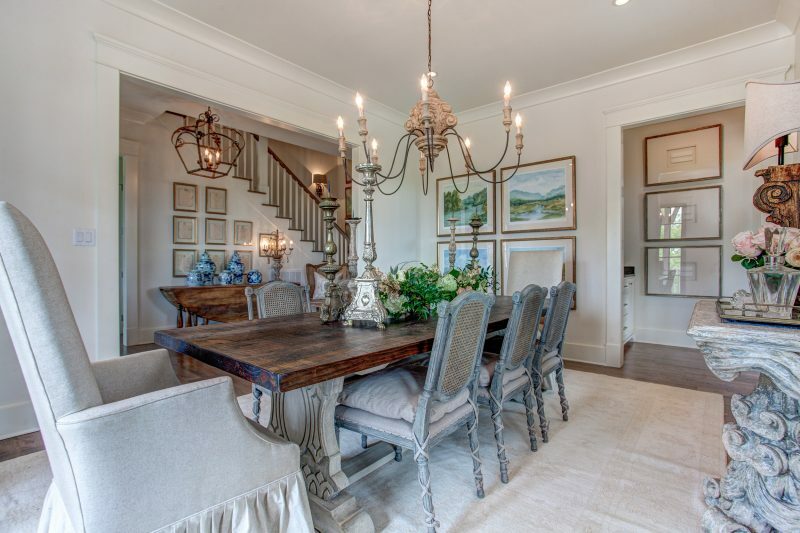 The best way to choose the right chandelier size for your dining room is to install a fixture whose diameter is between ½ and ¾ of the tabletop’s diameter or width. For instance, if the table is rectangular in shape, and measuring 50 inches (wide) x 72 inches (long), a chandelier that’s 25 inches to 37.5 inches in diameter would perfectly compliment the dining table. The chandelier height should usually be determined by your room’s ceiling height. Based on the thumb rule, an allowance of approximately 2 ½” to 3” should be given for each foot of the room’s height. A room with an 8-inch ceiling, for instance, can conveniently support a fixture that’s approximately 20 to 24 inches in height. 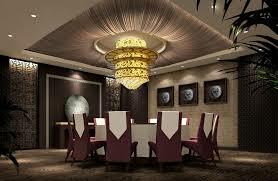 So, before purchasing a chandelier, be keen to measure the distance between the ceiling and your tabletop. If you want to generate an exciting statement as well uplift the ambiance to your space, place your chandeliers in the hallway and the big rooms. To determine the right fixture size, consider adding the room’s length and width (measured in feet), then change this value into inches. If the room measures 18” x 22”, get a chandelier that measures 40 inches in diameter. 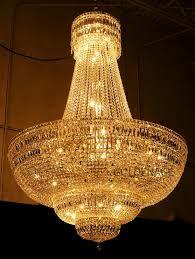 In open walking areas, the lowest point of the chandelier shouldn’t be lower than 6 ½ feet (78 inches). Tall ceilings provide you with a great opportunity to choose a chandelier featuring multiple tiers or levels. Chandeliers are some of the best ways you can use to breathe life into your home. When done right, they can uplift your home or office. They are powerful in adding class and re-uplifting the environment around your home. What’s more, they make homes or offices fresher. However, before installing your chandeliers, ensure that you get the correct size. So, when shopping around for a chandelier that will impact on your home or office, consider the above helpful tips. Good luck! Looking for an innovative way to light your low ceilings home? While lower ceiling heights may pose a dilemma in terms of design, don’t think that you aren’t going to have an elegant lighting anymore. You’ve just landed at the right place. 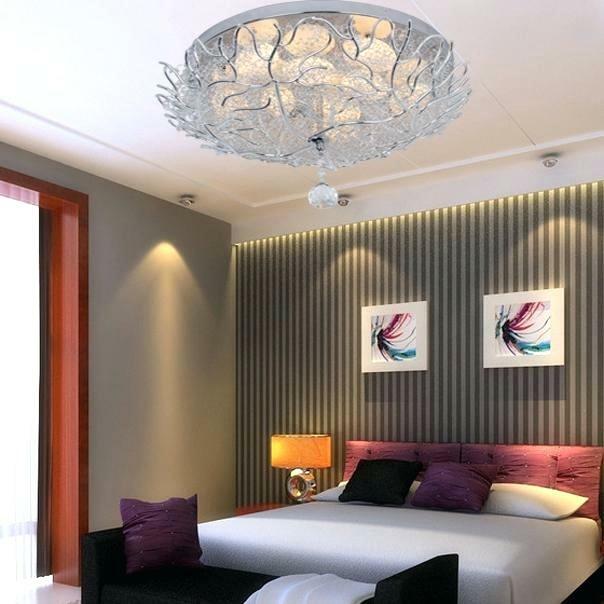 This article will walk you through excellent tips on how you can still install stylish lighting even though your ceilings aren’t that high. Ceilings measuring about 8 feet (ft.) are usually considered as low ceilings, whilst high ceilings are those that are between 10-12 feet tall. First, you’ll need to determine the height of your ceiling then you can proceed to decide how low or high the chandelier should hang. 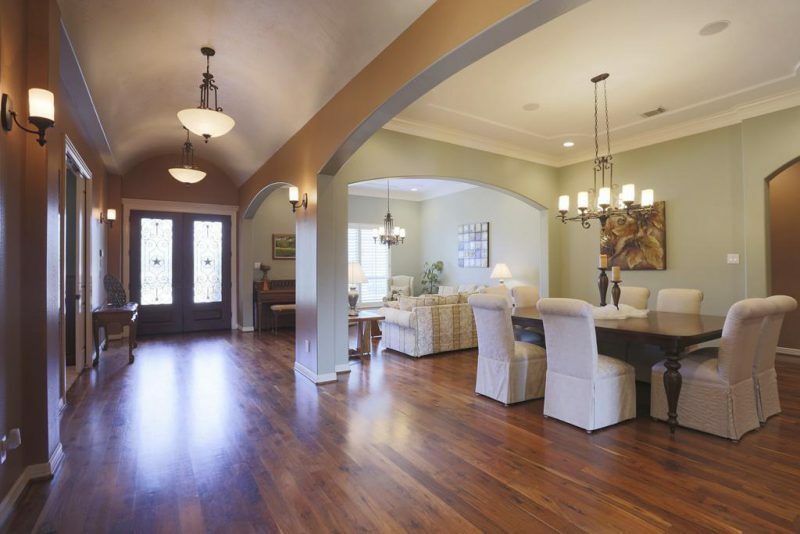 If it’s going over a place where people walk under, consider using a semi-flush mount fixture. 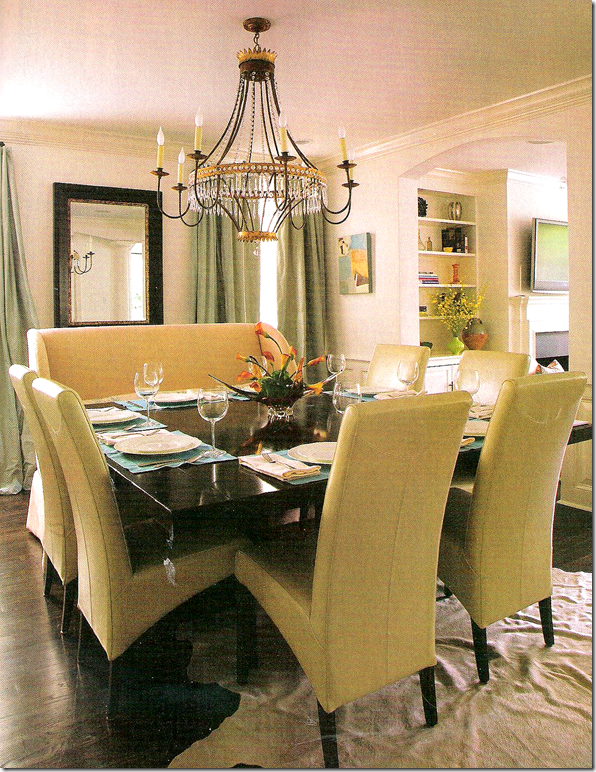 But if it’s going to be suspended over a table, island, or sink, a chandelier will work like magic. With the help of existing design elements available in your space, you can select your preferred shape and layout. If you’re more enticed by curved/smooth edges, go for a round shape. But if you prefer glossy edges, a rectangular or square shape might be a better lighting option for your space. You can even choose a non-conventional shape, like clover or starburst. Semi-flush mounts create the impression of an exquisite chandelier and will add a more ornate & decorative feel to your home. Drum shades plus bowl shapes are some of the most popular choices due to their sophisticated look. These lights’ low profile & flair would look amazing in your modern living room or bedroom. Flush mounts are another great lighting option for low ceilings. With a blend of classic vintage bulbs, these lighting fixtures are sure to satisfy your taste! Modern & with their powerful abilities to alter their linear shapes when commanded/programmed, these ceiling lighting fixtures bring a unique sculptural element to any low ceiling. In order to create a lighting design that’s both dramatic and attractive, you’ll need to install a low profile chandelier that’s bigger in diameter. 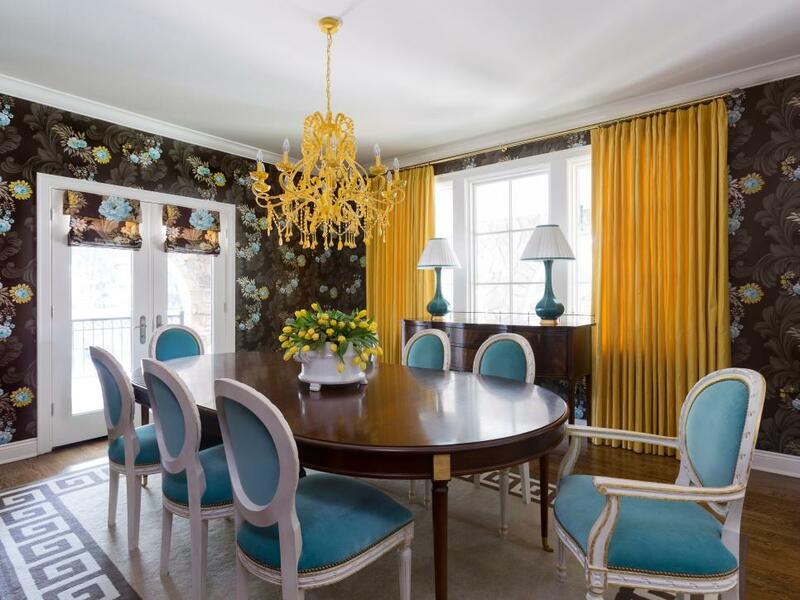 You can also utilize wallpapers on certain sections of the ceiling together with a classic chandelier that perfectly brings out the wallpaper’s colors on the ceiling. If you’ve a long hallway featuring a low ceiling, you can install multiple chandeliers to create a repetitive pattern. This won’t only create drama but will also make space exceptional and interesting. Flame fixtures, resin bowl designs, flush mounts, and sunburst fixtures are some of the most attractive designs for low ceilings. Another way to achieve creative lighting for your low ceilings is by using recessed lights both in your home’s ceilings and walls. 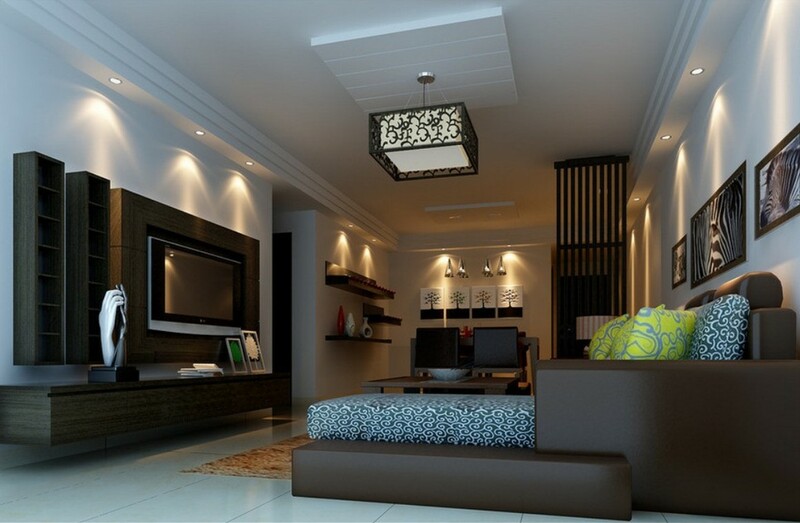 With low ceilings, you’ll basically need lighting designs that’ll maximize on diameter/width rather than height. This will still create that eye-popping drama you’re looking for without losing the allure! There’s a lot more to creating attractive lighting in your space /home than simply fixing light bulbs into the sockets and flicking a wall switch. To achieve optimal results, you need to get the right bulb designs positioned correctly, and controlled with a smart lighting system. Getting an expert lighting designer can guarantee that your home’s lighting is fully functional and beautiful, however, you might be able to employ the following techniques on your own. Great light isn’t seen. Hide all the light sources using architectural coves, niches, and trays to remove glare and add more definition to your lighting design. Knowing the height of your ceiling is equally important when choosing hanging light fixtures. There are certain lights that come with adaptable cables or rods, while others don’t. So, ensure that your light doesn’t hang very low or very high. 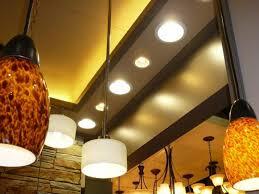 Generally, the bottoms of any lighting fixture should be suspended about 20 inches below an 8-foot ceiling. And for each extra foot of your ceiling height, three inches will be perfect. Always consider the effect of the sun in rooms while installing your lights. Incorporate fabric window treatments into your design to filter light, remove reflections, and invoke color as well as stylishness in rooms. The space that lies between lit surfaces and behind areas adds depth to your rooms. Ensure to increase the spacing between hallway recess lights and irradiate free-standing elements from a single direction. When installing a light over your kitchen’s island or table, maintain a separation distance of about 28 to 34 inches between the table/island surface and the bottom of the fixture. Nonetheless, you shouldn’t ignore the size of lighting element as it also makes a big difference. Generally, a larger light could be moved a bit higher and a smaller light could be moved a little lower. Surfaces usually reflect light within space. So, concentrate on architectural elements, furnishings, decorative fixtures, work areas, and art. Check out for hidden spaces underneath cabinets stairs which might be blocked from getting direct light. Once furnished, rooms tend to lose their symmetrical layout and flow. Therefore, consider placing lighting for finished rooms, not empty spaces. Indirect light is more like the day’s natural light. Emphasize your lights on ceilings & walls instead of lighting the floors. Ensure to choose the light that’s suitable for your application. LEDs are versatile and can be used to achieve dimming, color rendering, optics, as well as color temperature. Elegance is a key player when it comes to lighting. To achieve high levels of elegance, start by raising up accent lights. Then proceed to raise up the ambient lights. You can then create movement—alter the window treatment positions and turn on nice water fountains. Integrate innovative controls to manage multiple lighting layers and luminaire types in addition to room scenes. Advanced controls will help realize superior energy efficiency. 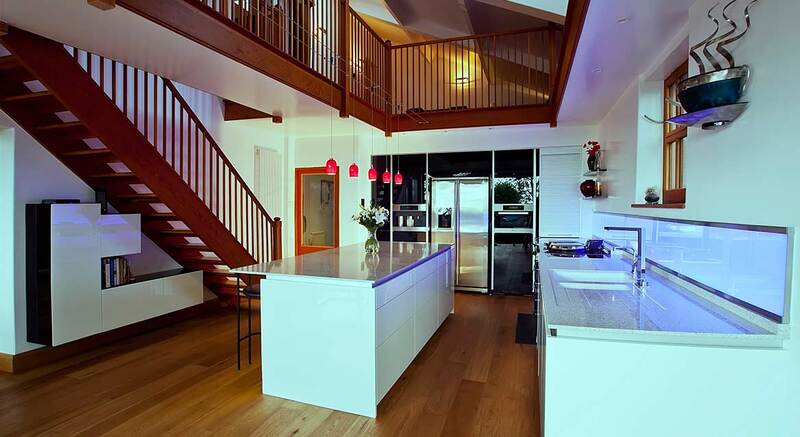 Go for a lighting expert who possesses immense experience when it comes to using light & programming controls. He/she should know how to put elegance and drama with light. The expert should also factor in convenience plus safety when installing your lighting fixture. When combined together, water and electricity can really be dangerous. So, when choosing your bathroom lights, it is important to acquaint yourself with the following terms; IP ratings & Bathroom Zones. You should ensure that the lighting fixture you select has the right IP rating for the specific Zone in which it’s going to be installed. Wondering what these Bathroom Zones and IP Ratings are? Don’t worry! Let’s get down and try to understand them. Light fittings come with an IP (ingress protection) rating that indicates their aptness for a particular environment (indoors or outdoors). The IP is usually followed by a two-digit number which pinpoints its protection level against intrusion by certain objects like dust ( digit 1) and waterproofing level (digit 2). When choosing your lighting, always remember to establish the specific area of your bathroom where it will be fitted and its exposure to water. 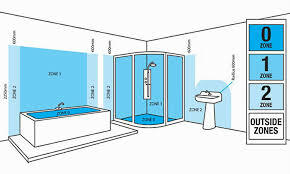 The bathroom area has been broken down into clear zones by the electrical safety regulations to assist you to choose the right fitting that corresponds to the specified IP rating for the amount of protection needed. Zone 0 includes the areas around the bath and shower tray. If you’re planning to brighten up this area, ensure that the fittings bear low voltage levels and must have a rating of IP67 or more. This will help make them immersion proof. You can dot nice bathroom lights across the floor. But, ensure you get waterproof ones. Such lights can create a dramatic effect, especially under-water & under-foot. Zone 1 is the area that’s right above the bath/ shower tray (i.e. 2.25m from the ground). According to experts, this area requires a light with at least IP44 rating. An IP44 rating protects the fittings against water spray. If your light consumes a 240V supply, use a 30ma RCD (an abbreviation for residual current device) to protect this zone’s circuit. To create a contemporary vibe, use classic wall lights in this zone. You can either position these lights horizontally or vertically. 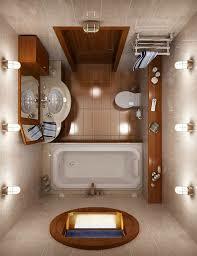 The area 0.6M outside your bath’s perimeter and 2.25M above the floor is referred to as Zone 2. Just like for Zone 1, the minimum required rating for this area is IP644. Position your lighting fixture on the outer walls for a sophisticated bathroom look or install them on both sides of the mirror. 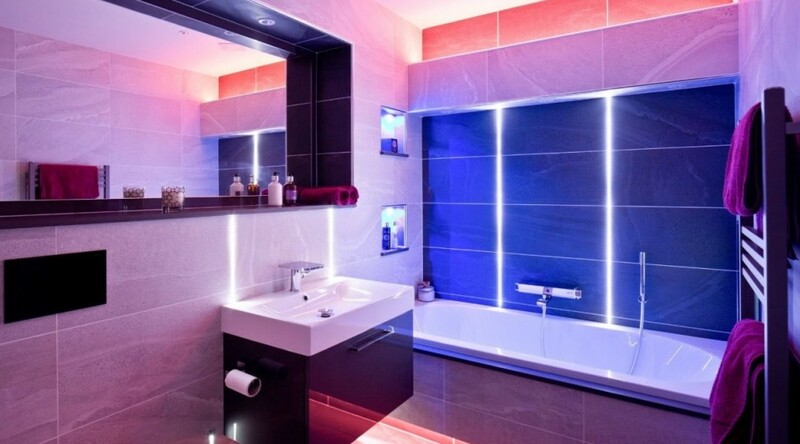 An IP44 rated razor light is multi-functional and an incredible fitting for your bathroom. Outside zones are those areas which don’t fall within Zones 0, 1, and 2. They’re always far from any water source/contact. No IP ratings are needed for light fixtures in this region. Recessed downlights can cast an even spread of light through your bathroom and can easily be integrated with other light fittings for an attractive layering effect. 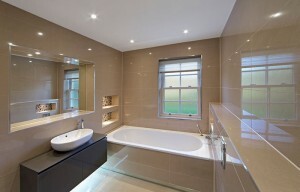 It’s always advisable to hire an electrician to help install the bathroom lighting for you. 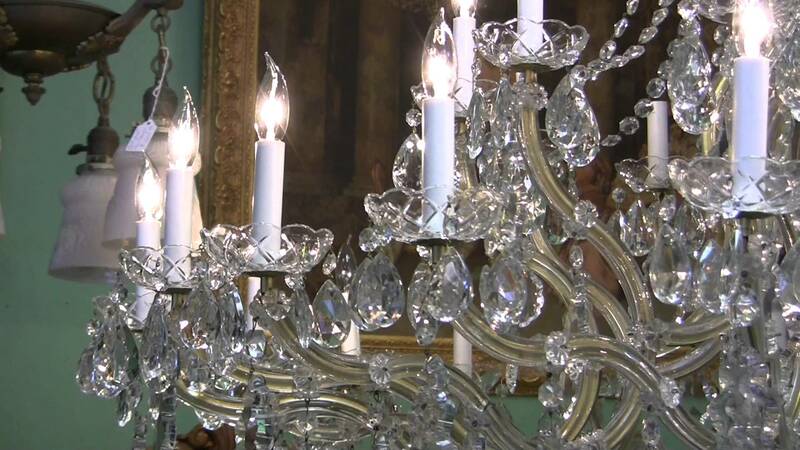 Maria Theresa chandeliers, which were named after Austria’s Empress Maria Theresa, are antique crystal lighting fixtures that are popular worldwide for their outstanding beauty, baroque styling, and exquisite crystals. 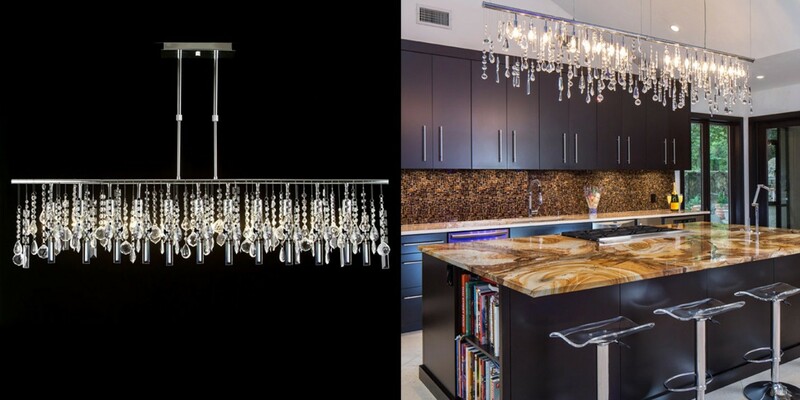 These chandeliers feature elegantly curved classy glass arms plus metal accents. 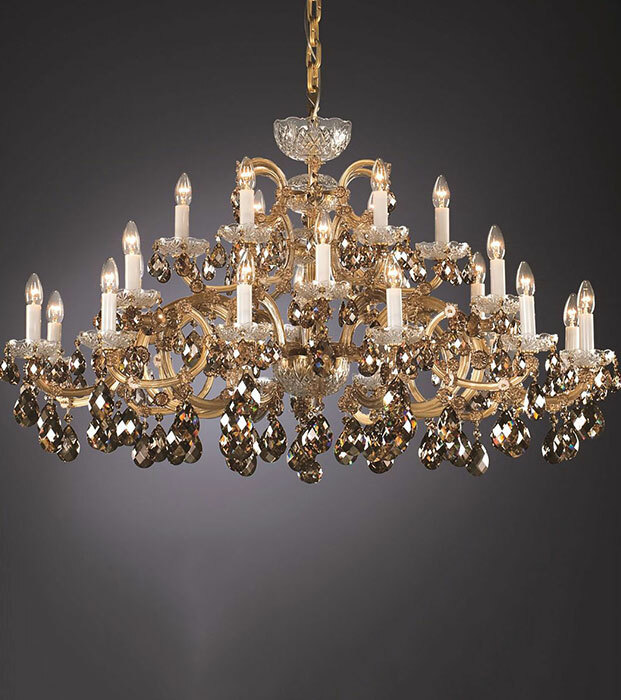 The intricate crystal trim & draping is one of the best things about these European-inspired lighting fixture design. 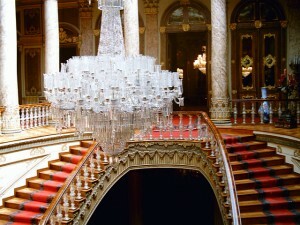 In 1746, an opulent, lyre-shaped chandelier was supplied to Maria Theresa’s palace and she was bedazzled. Since then, these types of chandeliers have boasted her name. They come with flat steel arms vanished in silver bronze or golden. Fitted with elegant crystal strips, each arm is also covered with crystal rosettes and offers unique brilliance. 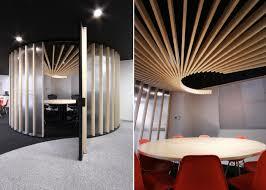 Even more, the steel frame is creatively designed so that it’s able to withstand huge dimensions with several pendants. You’ll evoke the serene atmosphere of royal palaces in any of your interior spaces with these chandeliers. This is usually trimmed using an elusive faceted leaf, almond accents, and nice elements of octagon crystal swags. 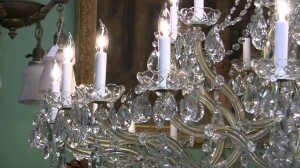 The traditional crystal chandelier trimmings rely on a lead-free glass found in Bohemian chandeliers. They are ideal for almost all customers, including the most discriminating ones. These types of lighting fixtures are ideal for period interiors. They create a thrilling counterpoint for modern interiors. The contemporary styling is achieved through trimming the Maria Teresa pieces with delicate faceted balls and fibers of octagon swags. As the name suggests, the modern style is fashioned using impeccable crystal kites, pears, and daintily beaded swags. 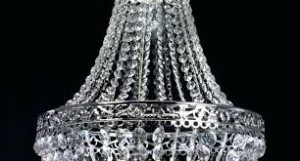 The premium crystal comes from luxurious chandelier trimmings. Main features in this type of trimming include the rainbow spectrum fire, cool brilliance, limpidity, sparkle and faultless scattering plus dispersion of light. All these attributes result from a precise cutting with the help of electronically controlled machines. What’s more, they are made of superior quality crystals featuring more than 30% lead. The select crystal, also known as standard crystal, is partly hand-cut and machine-cut using careful chandelier trimmings. Motivated by the rich glassmaking tradition and modern trends, the select crystal comes with distinct purity in terms of shape, and a rainbow sparkle. 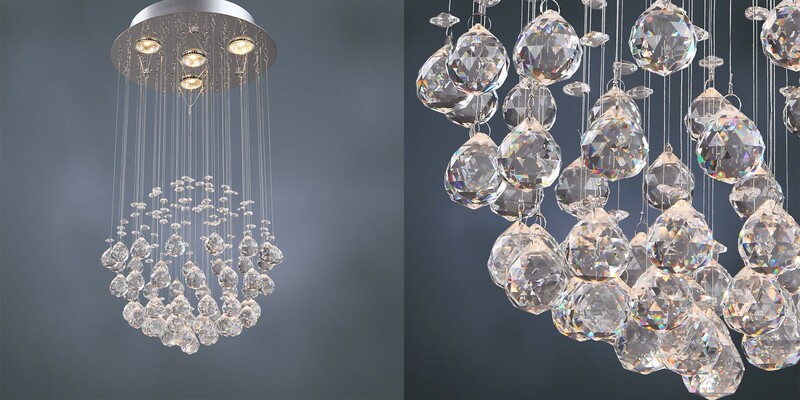 Whichever your choice, the Theresa Chandelier can be a perfect addition to any room. It will elevate your space and add that missing extra knack. To manufacture the Maria Teresa chandeliers, about 90% were hand-completed. This involved mind-blowing cutting, and the use of other refined techniques on the glass & metals. Machine-cut crystal trimmings & artistically fabricated metal parts offer a real stamp of luxury. 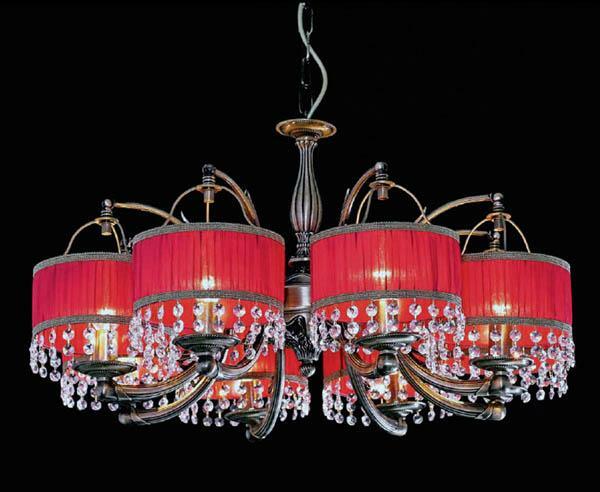 Bring the exquisiteness and passion of chandeliers to your home with the graceful Maria Theresa chandeliers. They have delicate glass arms that have been draped with copious amounts of classic pieces, something which guarantees class and elegance. Some spaces just require a taciturn trio of adornment lights, quietly going about their thing. And, others call for lanterns of pouring exquisite gold-like lights over cozy corners. 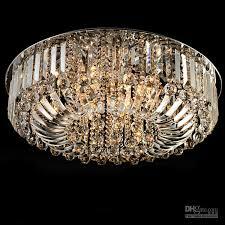 But at times, only statement eye-popping, attention-grabbing, crystal-seeping chandeliers will inject that missing knack into your room. 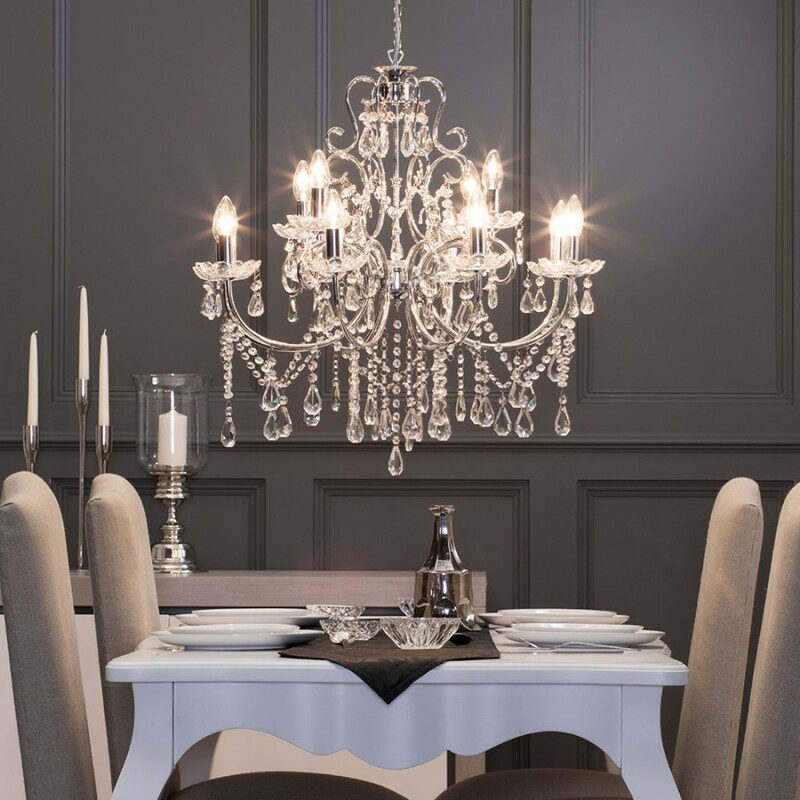 So, if you are looking to inject some wham-bam beauty, class, and glamour into those interiors of yours with nice chandeliers, there is something extra you need to know to land your golden deal—the tricks of choosing the best chandelier for your home. Get them into your bathroom, laundry area, or the nursery/backyard. They’ll work magic. They’re pieces of pendant jewels for any home and will divulge your individual style. 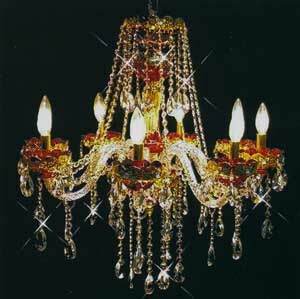 In fact, chandeliers are the easiest way of transforming any home. 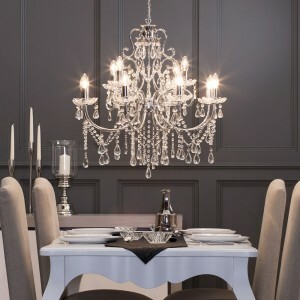 Chandeliers are available in numerous looks to fit your home’s décor or your taste preference. Many replicate a flamboyant historic look. But if you’re so much into modern styles and you want something a little more sophisticated than pendant lights, you can opt for contemporary chandeliers. The best way to identify a lighting fixture that perfectly matches your style is to look for your preferred choice at the decorating shops you already frequent. Once you have a clue of what you gravitate towards, your next trips to lighting superstores won’t be hectic anymore. Over the past few years, major retailers have rocked the market by offering quality, affordable, and stylish chandeliers. True, well-priced and environment-friendly pieces can readily be found online or at flea markets. However, exquisitely revamped antique designs can command prices higher going up to thousands of dollars! The best thing about chandeliers is that they are highly attractive and at the same time they have a practical task to perform. The amount of light is dependent on your specific needs; whether you’d like the chandelier to emit lots of light or simply deliver a little decorative, ambient lighting to space. 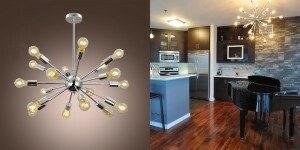 A large lighting fixture in a small room is an overstatement and appears too plain. 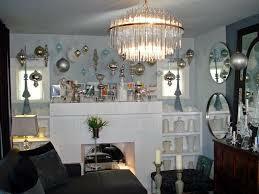 But one mini-chandelier can’t do much for bigger spaces like the living rooms. So, ensure that you get the right size for every space you intend to light. While these aspects will limit your options a little bit, don’t panic- you will still have plenty of chandeliers to select from even after the restrictions on style, intensity of emitted light, and size. Whether you intend to do the installation yourself or hiring someone to help out, a chandelier that is difficult to fix will cost you in terms of money or time. A big, expensive chandelier that’s heavy to carry needs to be handled with great care, so for certain types of lighting fixtures, you may need to call a professional instead of using your normal DIY techniques just to be safe. They should be installed more carefully to ensure they will never fall down and break. This is something you shouldn’t ignore, so make sure the procedure is done well to avoid running into huge losses. 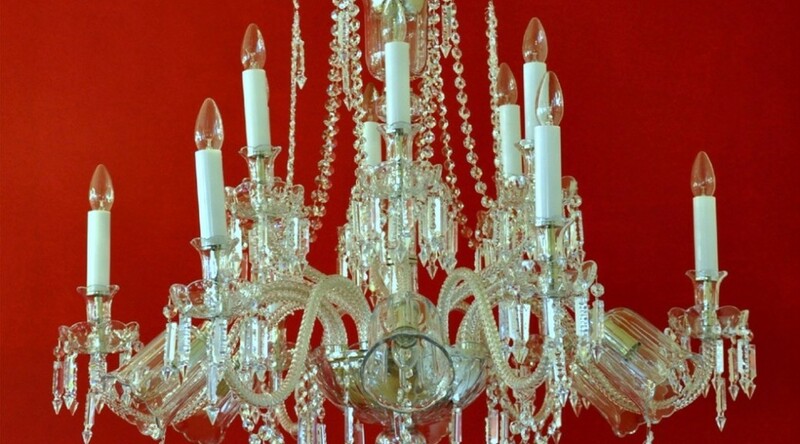 Let’s be frank here, cleaning chandeliers can be a daunting task. How regularly they should be cleaned and how complex it’s to clean them properly will depend on several factors, including the type of material used and the intricacy of its design. 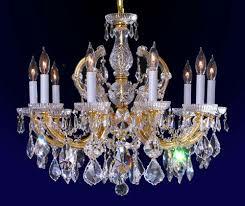 If you purchase a chandelier with loads of small pieces, be ready to pay for that elegance in cleaning time. 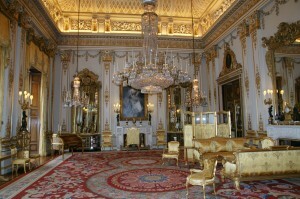 Chandeliers are usually associated with class & royal families. They are common with refined ceilings of antique castles & palaces that form part of affluent societies. They make a strong statement when it comes to opulence and style. They are the best jewelry for any home’s décor. Like a sparkling necklace, a chandelier becomes that classic masterpiece for your room, home, or office and an incredible conversation starter. They don’t have to be very expensive though- some plastic versions can still create that sensational drama. Whether they are glass/crystal, vibrant or classic, these light fixtures create a focal point in every room. Actually, you can even think of them as money-savers, because the rest of your fittings can be minimal. Chandeliers are a great way to upgrade your home’s interior décor. Vintage-inspired styles provide a major design appeal and look splendid in the front entryway. When swung above the dining table, wire chandeliers exude a gorgeous rustic grandeur that’s sure to draw your visitors’ attention. Victorian-inspired bead chandeliers, on the other hand, infuse romance and coziness into your space for an extremely sophisticated look. In a nutshell, chandeliers (like the below world’s most famous ones) can bring an antique vibe to your room, office, or exterior space & emit incredibly soft light that is perfect over places like the entryway and living room. 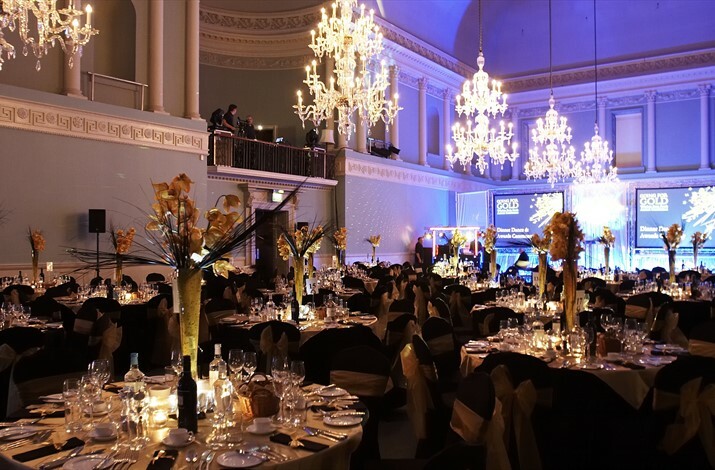 The Bath Assembly Rooms feature a classic suite of 9 Whitefriars crystal chandeliers designed by William Parker and Jonathan Collett. 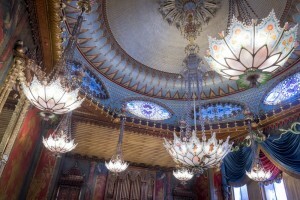 These chandeliers are among the most stylish in England and across the entire world. They’re deceptively elegant, especially because of their exceptional vibrancy and considerable size (each of them weighs about 440lb). Suspended from the gilded ceiling of John Nash in the Buckingham Palace, London is an elegant waterfall chandelier of aptly regal dimensions. 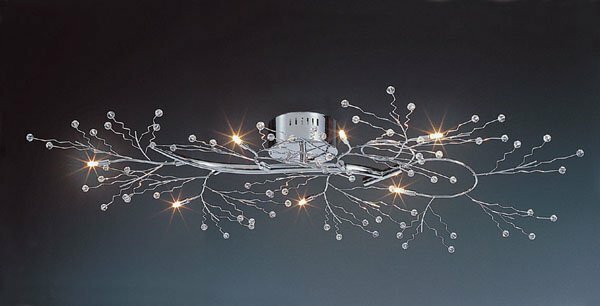 Installing this one-of-a-kind lighting fixture in your home or building will surely transform it into a gathering zone. It brings such a unique ambiance that’s hard to find with other lighting systems. The ceremonial Bohemian crystal chandelier in the Istanbul’s Dolmabahce, is one of the world’s best light fixtures, with 750 lights and weighs about 4.5 tons. It offers a great feel for beauty, elegance, and magnificence. In fact, it was Queen Victoria’s present to Sultan Abdulmecid. Dominating the V&A Museum, London is the sparkling Dale Chihuly’s Rotunda Chandelier. Available in green, yellow, and blue, the molded and blown-glass sculpture was commissioned in 2001. Above 26ft tall and featuring writhing glass forms, it completely takes over that museum’s entrance. Featuring a bespoke of contemporary materials, this glass chandelier forms a stunning centerpiece as far as attracting attention is concerned. Designed by the famous sculptor Dale Chihuly, this masterpiece creates shockwaves in the streets of Basil entrance. Taking inspiration from the Edward staircase balustrades floral pattern, this exquisitely designed 4m-deep sculpture is crafted from about 900 custom-made hand-blown glass pieces, making it a major breakthrough in the chandelier industry. 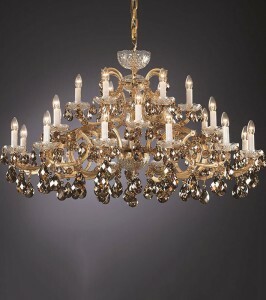 Designed by Charles G, the Paris Opera House chandelier looks set to change your chandelier tastes. This 7-ton bronze & crystal chandelier, which was designed in the mid-19th century, oozes with lots of class and elegance. 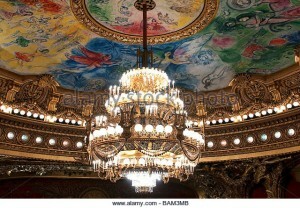 The fixture is estimated to cost about 30,000 gold francs and it literally fills the entire theatre with joyous life. Featuring a variety of flame patterns, these wild tinges of golden fixtures are flecked with vivid spots plus crystalline highlights. Do you fancy drinks inside chandeliers? If so, then the Las Vegas Chandelier Bar (a classical inhabitable and multi-story visual display that houses a 3 leveled bar) will quench your thirst. The floors are ingeniously nestled in the casino’s heart that’s located in the iridescent strands of a 2 million-beaded crystal chandelier. In fact, it is an architectural wonder designed using a curtain of luminous light. On entering the ceremonial Brighton Pavilion, you’re drawn to the vaulted ceiling and the stunning chandelier crafted by Robert Jones. It measures an overwhelming 30ft high.